During the winter, the dry air and frequent hand washing drys out my skin terribly. In order to combat that dry skin, I put lotion on my hands constantly. But…I also never take off my rings. I don’t want to lose them, plus they are difficult to take off! At one of my MOPS meetings, we cleaned our rings with a safe and easy formula. It made our rings sparkle! 1. 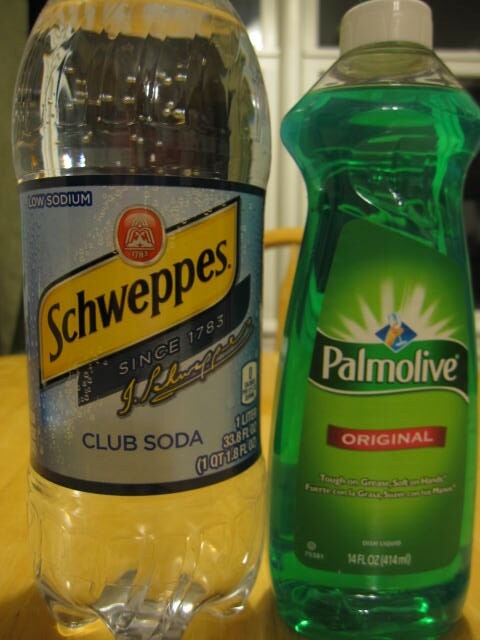 Combine a little Palmolive with some club soda. 2. Soak your rings in the liquid for a couple of minutes. Have fun–and like, share and pin the tips you find useful! I’m linking up with the Mommy Club this week. Such an easy solution! I wonder if it's gentle enough to use on pearls. I have a ring with pearls that needs to be cleaned. 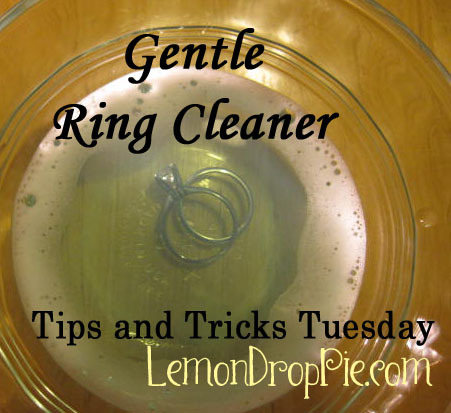 I made the mistake of trying to clean my ring at night…after I had washed the dishes! It was a trick to actually get my rings off my finger!